Service Centre Ostrov was founded as a separate department in 2009. At first its team consisted only of 4 employees and worked in a small room. During the first two years the Service Centre had big problems because of the strong competition on the service market. Our main competitors have already existed for more than 5 years at the moment when Service Centre Ostrov was created. They have already consolidated their positions while our Service Centre had to start from the beginning. 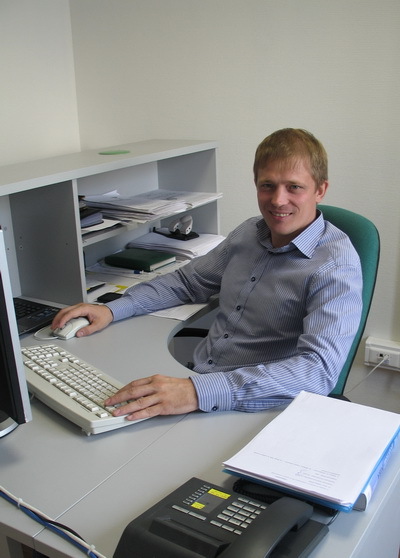 Our respondent, Vadim Kukoba, became the Chief of the Centre in March, 2012. He told us about the recent successes of the Service Centre and about plans for the nearest future. Our team was finally formed in 2012-2013. I think we are a cool team which can overcome all difficulties. I always say: competitors are not a problem if we have a high qualified and friendly team able to reach its aims. Due to the fact that we created such a team, we achieved the level of our main competitors and even left them behind. Today we have significant competitive advantages which help us to compete with these companies. Firstly, we are more flexible in taking decisions than big companies. Our clients confirm it when they compare us with other firms. For example, we are ready to preliminarily troubleshoot a compressor and make a preliminary estimate for repair works by phone within 15 minutes. It is one of our concepts which we call “online troubleshooting and repairs”. It means servicing clients within the shortest terms. Our second competitive advantage is the term of our guarantee. Unlike our competitors, we give a guarantee not for 6 but for 12 months. We are not afraid to give the same guarantees on repaired compressors as on new ones, because we are sure that our services are always of high quality. Our third advantage is the shortest repair period for compressors. No one of our competitors has such production capacities as we have today. Our workshop is built according to the principle “The right man in the right place”. All our employees are skilled specialists. In the seasons when our competitors are “overloaded” and refuse doing urgent repairs (within two days) to the customers, we are ready to accept such orders. Next time the client will come just to us when he has such difficulties again. 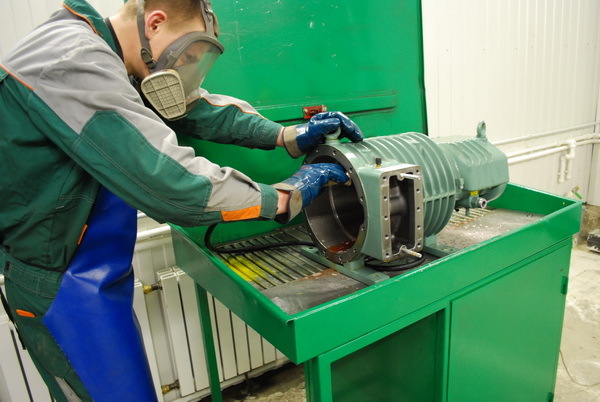 Service Centre Ostrov has the biggest stock of spare parts for BITZER compressors in Russia. It helps us to serve our clients much faster. BITZER compressors, according to expert appraisals, occupy from 80 to 90% of the market, and therefore it is another competitive advantage for us to have a wide range of original BITZER spares and components in our own stock. We are officially authorized by three European partners. We are certified to troubleshoot and repair compressors by the German company BITZER and by the Italian firms FRASCOLD and RefComp. The certification confirms that Service Centre Ostrov is a partner of these producers and has a right to troubleshoot and repair their compressors as well as to issue its own expert opinions. We are also going toget certification from other manufacturers of refrigeration equipment, because certification gives us a right not only to act on behalf of manufacturers but to teach our specialists at their production sites that allows us to maintain and to increase our qualification levels constantly. Our Service Centre used the experience of our European partners how to authorize service centres; then we decided to change those methods a little, taking into account the features of the Russian market, and began to authorize service centres in different regions of Russia ourselves. Nine companies from Volgograd, Omsk, Voronezh, Saratov, Samara, Stavropol, Orenburg, Severodvinsk and Kazan, which became the first partners of the Service Centre, were trained in April-May, 2013 on the base of our Centre. We plan to hold these training courses annually. The program will be corrected in accordance with current market needs. I’m sure that our present team has a great potential and is able to do much more and for shorter terms than we do now. Therefore attracting new clients is one of our most important tasks now.